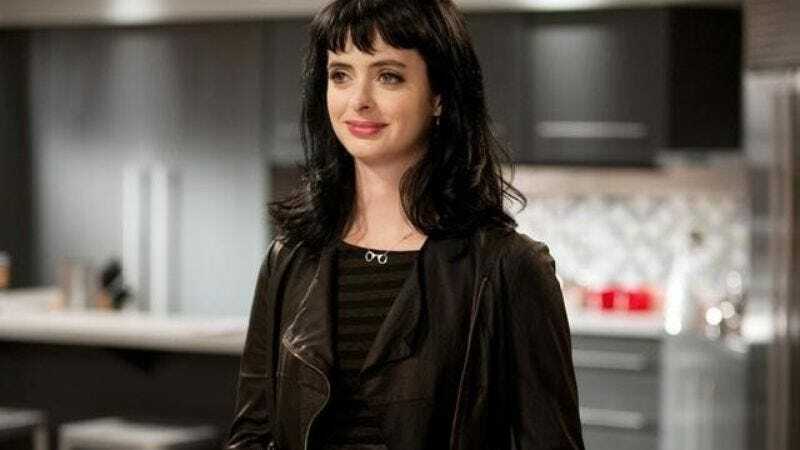 While Krysten Ritter recently suffered the indignity of having her NBC sitcom Mission Control canceled before it even aired, on the back of ABC’s cancellation of Don’t Trust The B—— In Apartment 23, she’s picked up an excellent consolation prize: a starring role in Marvel’s Jessica Jones on Netflix, where TV shows live forever and ever. Deadline reports that Ritter is the studio’s choice for the upcoming drama, beating out other contenders like Alexandra Daddario and Teresa Palmer thanks to her proven chemistry with The Following’s Mike Colter—Marvel’s presumed choice for Luke Cage. Neither Netflix nor Marvel has commented officially on either of those decisions, but the prospects certainly look good for Ritter landing a role in a series that’s already been guaranteed 13 episodes that no one can take away from her. Part of Netflix’s deal for four Marvel series focusing on members of The Defenders—a group that also includes Daredevil and Iron Fist—Jessica Jones concerns a former superhero whose powers have brought her nothing but trouble, even more than that suffered by most superheroes. So instead, she opens a detective agency tasked with assisting superheroes. In other words, it is essentially a remake of Don’t Trust The B—— In Apartment 23, only this b—— is a lawyer, she’s actually in a detective agency, and you should trust her.